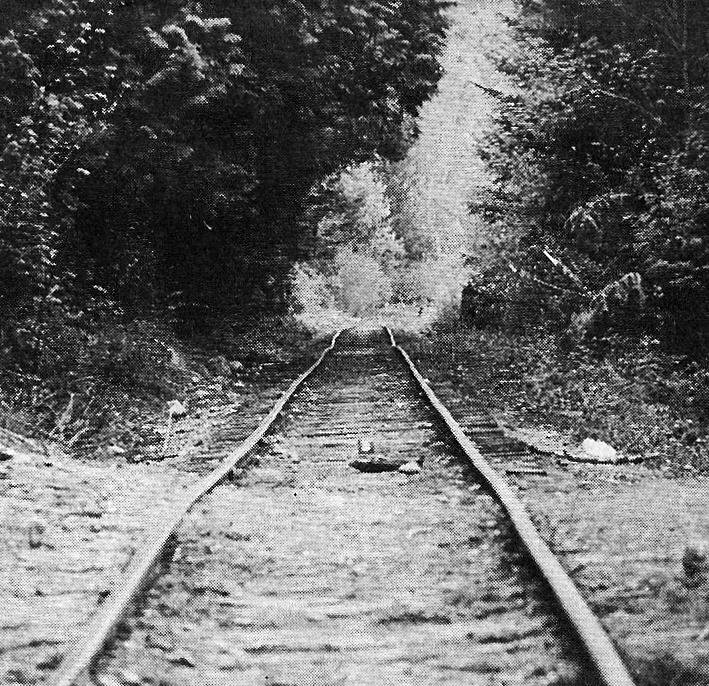 They have come and gone, those transitory groups of intruding humans who crawled like ants through the Cascade foothills in 1910, hacking at the forest and burning their leavings until the hillsides around this small community resembled a World War I battleground. Literally billions of board feet of lumber and shingles rolled out of Selleck during the boom years which extended through the 1920s. Environmentalists today would throw up their hands in horror and scurry to the nearest court for a restraining order, but there were no thoughts of such actions while Frank L. Selleck was supervising construction of the Pacific States Lumber Co. town which was to bear his name. Ultimately, the patient forest reasserted its prehistoric right of eminent domain. Second growth timber towers more than a hundred feet above the roofs of the simple houses constructed from the timbers of that long-vanished virgin forest. The new forest is green and thriving, protected by watershed reservations on three sides while the porches and eaves of the mill workers’ homes slowly succumb to the persistent cancers of dry rot and termites. The forest encroaches on the iron-fenced gravestone of Jesse Taylor, born Jan. 6, 1872, died Feb. 18, 1908. 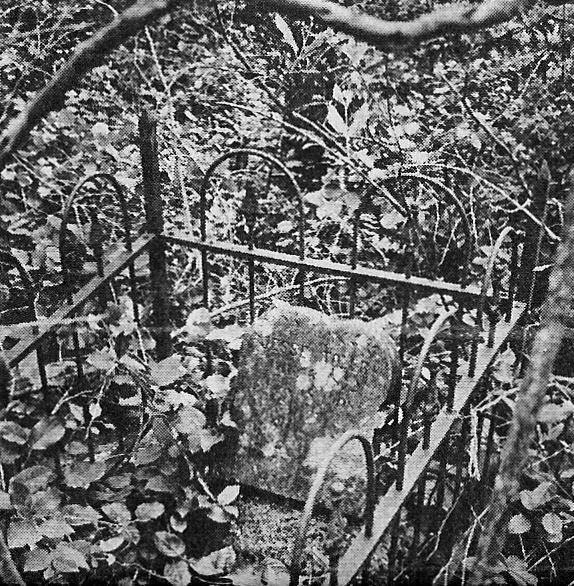 Though the brush all but obscures it, the inscription on the stone reads: “Though lost to sight, to memory dear.” The graveyard is west of the townsite along a narrow country road – invisible to all but those familiar with these woods. The houses bear mute witness to 65 years of occupancy by families who did not own them. Some efforts have been made to forestall the inevitable, but former residents agree the town has deteriorated steadily for decades. Present owners wage a constant struggle to maintain the old cedar-stave wooden pipeline which supplies water to the town, but health department officials continue to insist the water does not meet state standards. Some tenants, encouraged by the landlord’s policy of forgiving rental payments up to the amount spent for supplies, have started minor remodeling projects themselves. Two houses sport new shake roofs. But still county housing officials insist that many, if not most, of the houses are unfit for habitation – an assertion which is greeted with scorn by most of the residents. For beneath the decay and disrepair can be found some evidence of a vitality to match that of the ever-encroaching forest. The residents of Selleck for the most part do not wear the empty, defeated look which has come to be expected of a group of people subsisting to a large degree on welfare, unemployment and other forms of public assistance. Selleck has found no immunity from the immutable cycles of life, but it is far from dead. 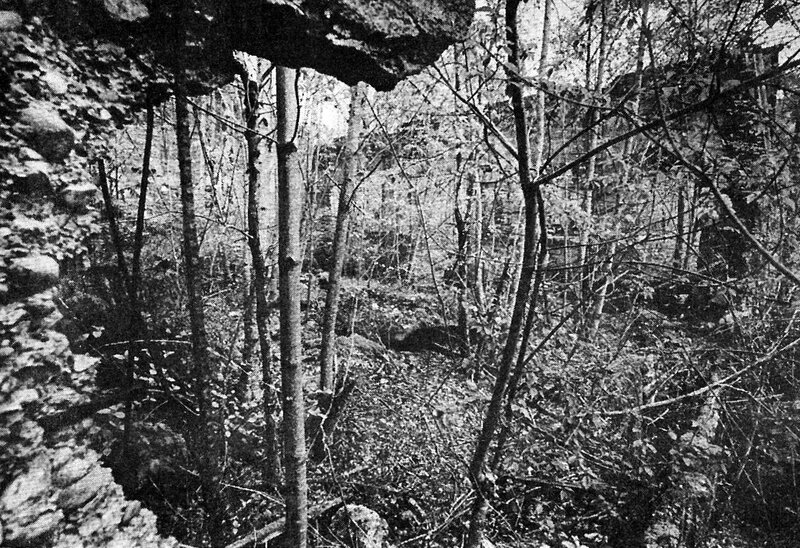 An early panoramic view of Selleck shows remnants of a virgin forest after clear-cutting stripped the woods and hillsides. When Pacific States Lumber Co. laid out its small company town and named it after Superintendent Frank Selleck, a pattern of ownership and tenancy was established which has persisted, with minor variations, for more than 65 years. Authority always has resided in the big brown bungalow set apart from the rest of the town and further separated by a high hedge and the subtle social wall between tenant and landlord. Until Pacific States went bankrupt in 1938, the big house was the official residence of the mill supervisors, who at times managed an around-the-clock operation employing 600 to 700 men. The community’s orientation in those early days was not westward toward the Cedar River Valley, but northward, toward North Bend. As many as two passenger and four freight trains a day would visit the community, which boasted a hospital, hotel, dance hall and other amenities which scarcely would be expected in a town of about 900. A huge concrete burner tower spewed sparks and smoke into the sky day and night. A concrete building housed a steam plant which provided power for the mill, which produced 150,000 board feet per shift. Welsh, Irish, Italian, East European and Japanese laborers were brought in during the good years. One of the peaks was reached after the disastrous 1923 earthquake and fire which leveled most of Tokyo. Japanese laborers assisted in the effort to produce lumber to rebuild the city, but oriental presence in the community dates to a decade before, according to a former resident. Crumbling concrete walls of a power station for Pacific States Lumber’s mill enclose a miniature forest now. The floors, where men once worked, have long since yielded to nature’s patient revenge. Mrs. Lloyd Qually, who was a teacher during the twenties at Selleck School, recalls that children of Japanese immigrants, who came to Selleck as early as 1912 or 1913, attended both the American school and a school of their own in which their mother language and customs were taught. The Japanese did not live up by the mill, but farther down the valley in a space which had been cleared by the railroad. It promptly was dubbed “Japtown,” a name which still persists in the talk of long-time residents. But Mrs. Qually said there were no incidents of overt racial prejudice, despite the segregation. 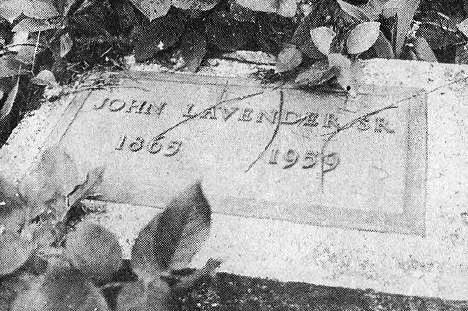 Beside Japtown was “Lavendertown,” another collection of buildings named after John and Florence Lavender, who operated a store, tavern and pool hall and reportedly owned a large amount of land in the area. 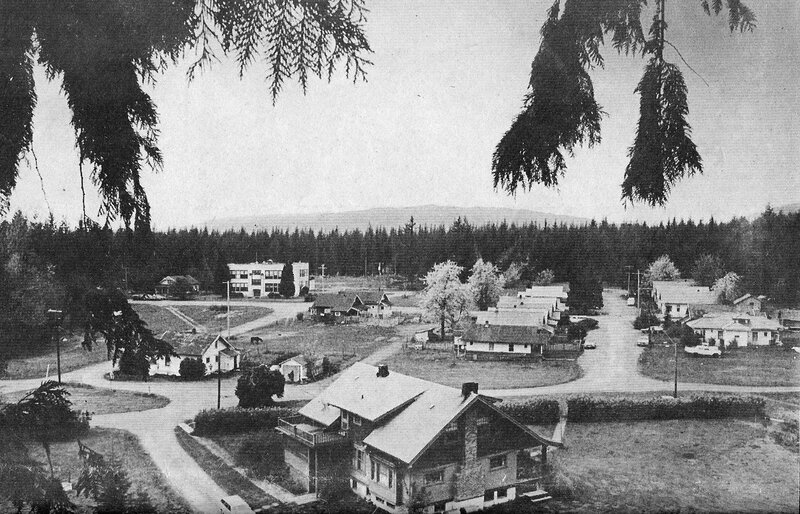 The original Selleck school, which at one time offered classes through high school, burned in 1929. The present three-story structure was erected on the same site. But the dominance of the lumber industry was on the verge of decline, and irreversible changes soon overtook the small community. Production at the mill declined during the depression from three shifts a day to two, then one, then to three days a week. In 1937, the mill closed for the last time and in 1940 two former mill employees, Gust Coukos and Lloyd Qually, bought the town at a tax sale for a reported $3,000. Tracks that once saw six or more trains a day now collect rust between infrequent runs by the Burlington Northern’s trains. Thought this section still sees some use, residents say, many spurs in the Selleck area that once served logging operations now have been torn up. There was a long lull until 1966 when the Quallys and Coukos sold the town to two Boeing engineers, James Weitzel and Andy Nelson. The two men began working at repairing the dwellings. But even today tenants say none of the buildings are insulated and most still have wood-fired stoves as a back-up to the oil heating units. In 1969 Powell Morris, a Bellevue real estate salesman, bought out Weitzel and Nelson for a reported $150,000. The town in turn was purchased by the present owners, a group of investors called Selleck, Inc. Within the last decade, several proposals for rejuvenation of the town have been advanced, but none have come close to fruition. A proposal for an alcoholic treatment center for persons who could afford private care was made in 1965, but withdrawn in the face of determined opposition by a group of residents named CACTAS (“Citizens Against Carriage Trade Alcoholics in Selleck”). Weitzel and Nelson’s dream of developing a residential suburban estate also failed to materialize. Selleck, Inc., under the leadership of brothers Walt and Robert Schaefer, has advanced a comprehensive plan for the area which includes a Christian college campus, restored mill town “similar to Virginia City,” and continuation of a private academy which was established in 1971. These latest plans also have laid dormant—in large part, Bob Schaefer claims, because of “bureaucratic interference” by health and housing officials. Schaefer, engaged in numerous skirmishes with the bureaucracy, has spent less and less time in the big brown house since academy enrollment began dwindling and the school lost its financial footing. Now the house is occupied by maintenance man Mel Cady and Cady’s family. But the pattern of administration from the bungalow, and tenancy in the remaining 21 rental houses nearby, continues to be the economic underpinning of the town at the end of the road. Unless and until the bureaucrats bend Schaefer to their will, that relationship apparently will continue. Robert Schaefer checks a bolt holding cedar staves of the city’s old water line in place. The line is leaky, but Health Department officials say lack of proper chlorination in the system and Schaefer’s refusal to prepare and submit required records are the main reason for non-approval of it as a water source. Robert Schaefer says he’s too busy nowadays trying to study law and fight the establishment to spend much time converting Selleck into the town of his dreams, but the uncluttered desk in the office area of the headquarters house showed little evidence of activity of any sort while the Quixotic president of Selleck, Inc. described his bureaucratic battles. A comparison to Quixote is somewhat erroneous; Bob Schaefer does not charge at windmills. Instead, he works hard at goading the bureaucratic gristmill into charging at him. The fact that nobody has yet taken him to court, he asserted, is evidence that the bureaucrats themselves know their “harassment” is illegal. The red tape of regulatory agencies has caused Schaefer many problems he admitted gloomily. The biggest stumbling block right now is the unapproved status of his water system, which disqualifies any of his customers from securing a building permit for new construction. “Were dead in the water right now,” he said, as he surveyed an aerial photograph overlaid with the hopes and dreams of Selleck, Inc. On the 20 acres owned by the firm, little red squares showed the location of a tourist attraction which would be based on a re-creation of the old mill town. The area would draw summer crowds, which in turn would generate revenue for other activities of the corporation, he said. Most ambitious of the other planned activities is establishment of a Christian College in a spacious wilderness setting—“Something like Bob Jones University,” Schaefer explained. Postmistress Lois Anderson sells a stamp to one of her occasional customers. 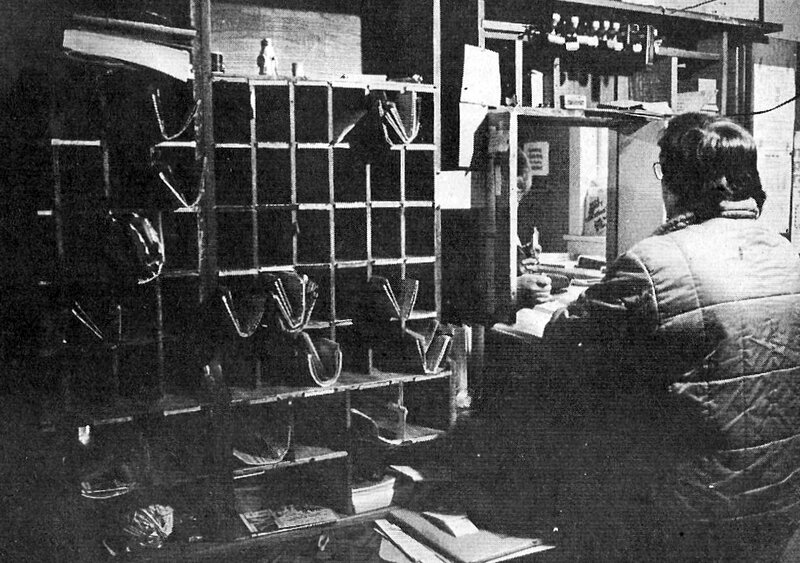 She took the position “for a couple of weeks” back in 1968 after former postmaster Bill Brown retired. But for the machinations of a lawyer-dominated administration, Schaefer said, he might still be a small contractor, making a living by heeding the red tape and confusing regulations of a phalanx of inspectors, clerks, planners and supervisors. But after almost going under in the slump which accompanied the Boeing “crash,” Schaefer said he decided it was time to confront the problem head-on. “The agents from the county are double agents,” he explained carefully. “They work for an illegal syndicate which controls the State of Washington; they’re no different from Al Capone. The name of the syndicate? “The Washington State Bar Association,” Schaefer answered his own question. The lawyers, he maintained, have a monopoly of the judicial branch, control of the legislative branch, and great influence in the administrative branch of government throughout the country. “Watergate was just a little pimple” from the underlying corruption, he asserted. After barely surviving the local crash—which also was caused by the machinations of bureaucrats beyond the ken of ordinary citizens; he said—Schaefer began taking a more direct approach toward the problem. Imposition of unrealistic building and health standards, he said, “destroyed our little school” in which 40 students attended elementary grades starting in 1971. 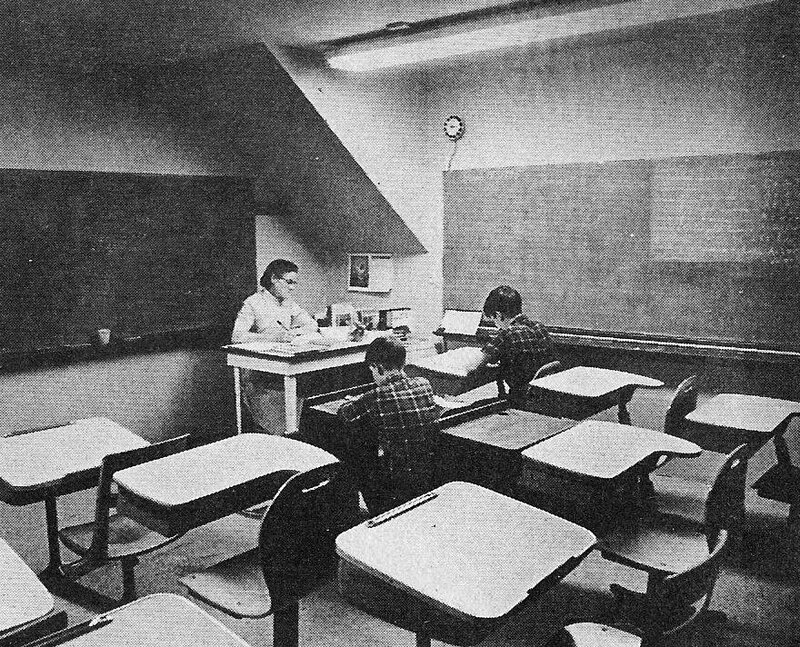 Schaefer showed off a basement classroom in which Mrs. Mel Cady and her two sons were bent over their desks, studying. Mrs. Mel Cady teaches her two sons, Nathan, 12, and Aaron, 8, in the basement of the superintendent’s house at Selleck. They are the last remnant of the academy which once taught as many as 40 students. Mel Cady is the maintenance manager for Selleck, Inc. The family moved to Selleck last September after Cady accepted a position as residential manager of the 21 rental houses remaining in the former logging town. Although she has no education degree, Mrs. Cady said she sees no problem in instructing her sons. 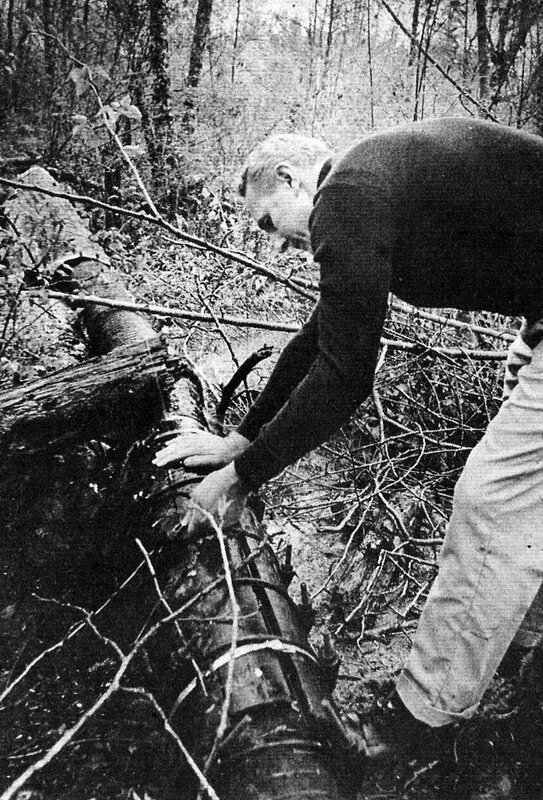 Hiking into the woods to show off his 65-year-old water system, Schaefer expounded further on his beliefs. 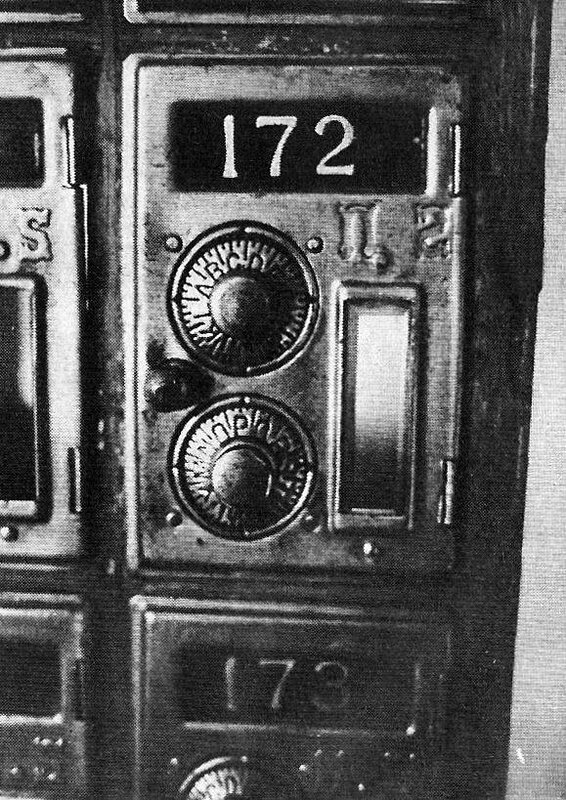 Box 172: Famous for its upside down and backwards initials U.S. embosses in the delivery box, this postal facility is still in use. About 44 patrons remain, according to Postmistress Lois Anderson. Farther into the woods, a small shed housed the system’s chlorination plant and several hundred yards farther on a concrete trough held the gravel filtration system, which Schaefer said is completely effective. On the way back, Schaefer detailed one confrontation with an inspector, chuckling over the official’s confusion when Schaefer started asking the same type of questions which, as Schaefer described it, the official’s office has used to “harass” Selleck’s citizens. “I offered to try to find him a job, make an honest man out of him,” Schaefer recalled. “The guy told me he had been all over the world, met all kinds of people but he’d never met a man like me. One of the officials who has attempted to deal with Schaefer confirmed the Selleck administrator’s account of his own obstinacy. 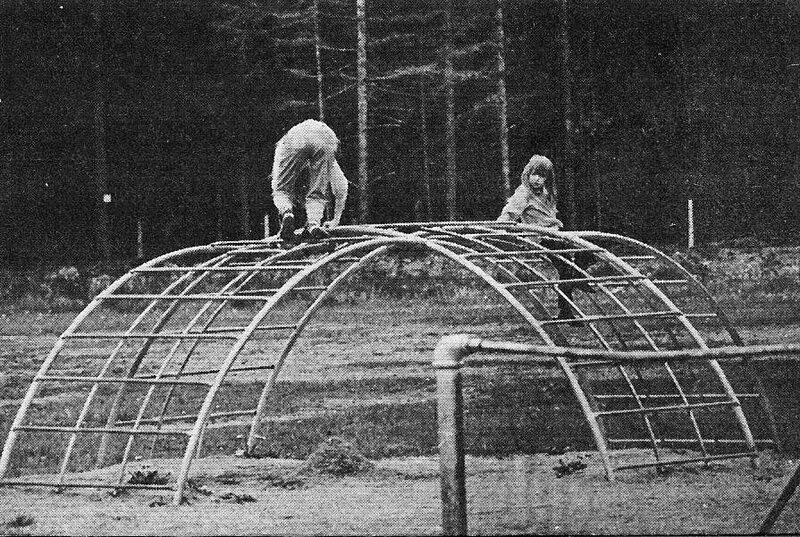 Children play on a jungle-gym outside the elementary school at Selleck. Separate from the Selleck Academy, the elementary school is operated by the Enumclaw School District. School officials, wary of reports of bad water samples, are moving toward installation of separate chlorination system, for the school building. Although the Attorney General’s office has written a threatening letter, no legal action has been taken concerning the alleged deficiencies of the system. The academy lost its students not because of any government action, but because the activity of inspectors frightened away most of the students’ parents, Schaefer said. More recently, other inspectors have raised questions about the suitability of the rental houses for human habitation. Down the road at the Kangley Tavern, several Thursday afternoon patrons were more than willing to voice their views on the subject. Most backed Schaefer. The people who still live there, though, back Schaefer vigorously. Selleck youngsters chat along a road in front of the former site of the town’s hospital – a proud part of this town of 900 persons at its peak. But the structure is long since reduced to a few pieces of rubble in the pasture. 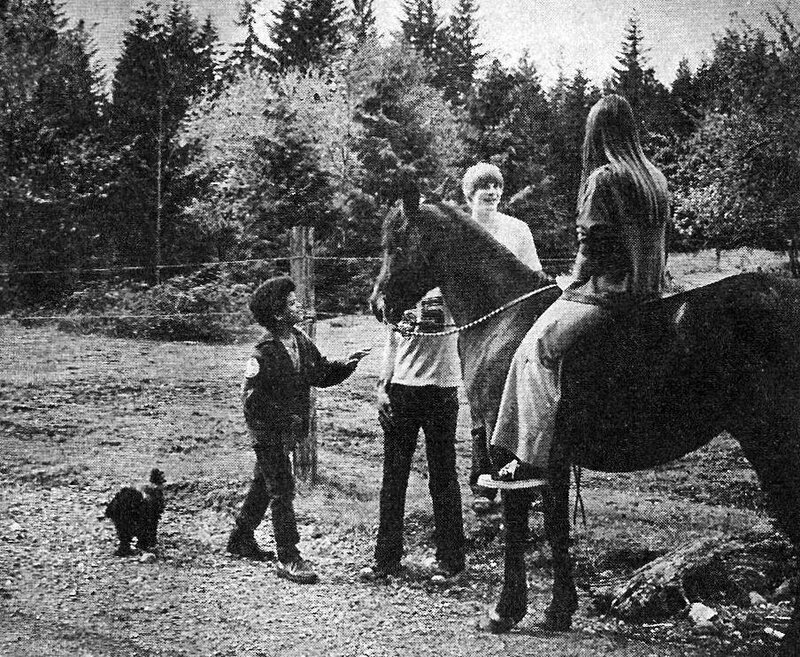 Horses, such as this ridden by Cheri Brothers abound in the area. With her are, from left, Lance Proctor, Kevin Loresch and Karl Loresch. Other residents contacted in the town agreed, for the most part. “Schaefer is a Bircher, but I don’t have any complaints,” said a braless tenant who likes the peace and quiet and the room to raise a horse, two dogs and two cats. “The houses aren’t that bad inside,” she added.